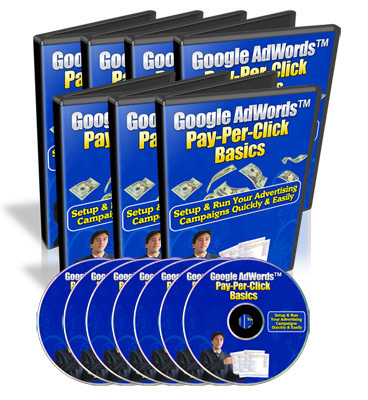 get your Adwords campaigns up and running today? With these videos, youll be able to watch them directly from the computer screen itself! Ill Top Up Your Fool-Proof Passport To Success With My Unconditional 100 Iron Clad Money-Back Guarantee! Also, if at any time whatsoever within the next 30 Days, you feel for any reason that our product fails to live up to my promise, simply let me know and Ill immediately give you a 100 refund of your purchase price, no questions asked. That means you can try out all the videos at my risk, while you see if they work for you or not. And if they dont produce, I honestly want you to ask for your money back. Wait! Im Not Done Yet! Ill also give you a generous Full Master Resale Rights to this very package so that you can put your investment back in your pocket with ONLY 1 Sale!